The Do’s And Don’ts of getting your suspended Amazon account reinstated with an Amazon Plan of Action. Under normal circumstances, it’s great to tell Amazon how much you love selling there because it sounds positive and upbeat. Unfortunately, you have no added chance of getting reinstated simply because you find Jeff Bezos irresistible. If suspended, you will need to provide concrete steps, in your Amazon Plan of Action, addressing what went wrong with your seller account in order to be allowed back. You only have so much space to make your case. As it is, investigators will go through several emails quite like yours all day. Don’t send an immediate response by clicking the “Appeal” button. I have read many POAs that simply vented aggravation and offered no new steps taken to correct inventory, supplier or account operational problems. I’ve seen sellers lay out convoluted appeals that were difficult if not impossible to read; I knew full well that no one on the other side would bother trying to understand what they meant. I have seen terrible punctuation and grammar that was just as difficult to follow. I have read begging that had no information other than pleas for help because of how many employees were involved. None of these emails included true Plans of Action content or addressed any factors behind their suspension. And none led to reinstatement until I intervened to help those clients write a real POA. Lay out an actual case that motivates Amazon to reinstate your account. In other words, think things through before appealing to Amazon. bashing the slowness of their teams, or telling them how disappointed and heartbroken you are to have lost the account. Don’t give them an excuse to rush past the core of your POA. If you write a weak plan that functions as an opinion editorial, then don’t waste your time or theirs. Vent your anger about a lack of fairness somewhere privately, but don’t include that language in your appeal. You must show Amazon how seriously you take this restriction. You take it so seriously, in fact, you’ve taken time and care to provide them with a Plan of Action they consider “viable” to reinstate you. As they annotate internally, a “Non- viable POA” means they cannot justify your account reinstatement. So what do they mean by “viable” you may ask? Do give Amazon account investigators facts, not generic info you found in Seller Forums or on Facebook. Suspended for policy violations? Focus on policy matters, and not performance metrics. Don’t talk around the point, that’s a one-way ticket to a denial or request for “more information.” You could stay in that purgatory for a long time if you resist further specific POA needs. Get into details, but tell them ones that address the core reason you’re suspended. It’s “viable” if every concern they have about reinstating is answered convincingly. Communicate your understanding of the root causes of what went wrong along with all of the wonderfully efficient steps you’ve taken to correct each. Using paragraphs is great when you’re writing a novel. Stick to the full sentences and paragraph form when you’re writing a short intro to the appeal, and at the very end, when you wrap it up concisely. Nowhere in between, please. that instantly shows the reader your overall grasp of what happened and how you already resolved it. Indicate that you flew into action immediately after the suspension notice came in. Instead of reacting angrily against Amazon, you took time to pull together causes and solutions. An overwhelmingly pro-Amazon outpouring of love for the company is nice but it won’t help any more than lashing out will. Get practical and concise, and stay that way. Do ask yourself: How much do I know About the “Seller Performance” Health of my Amazon Account? Can you be 100% sure that all of your listings match the products you send into FBA, and also match Amazon’s listing policies? Do you have a designated compliance employee who keeps track of Amazon policy changes? How well do you know your suppliers? Know the answers to key questions about the operation of the account, and don’t delegate downwards to someone who has little idea of how Amazon accounts should be run. This isn’t an ordinary job. Amazon expects and demands the best from each seller, every time. Blaming buyers for lying or even blaming them for making up fuzzy reasons to get free return shipping not only wastes Seller Performance’s time but your own chances of getting a fair hearing. The number one goal for Amazon suspensions is to force sellers to take detailed steps that will improve their account operations. Amazon must provide a reliable buyer experience. A suspension means that Amazon already decided you fall into the group of a legitimate suspension, and arguing or debating that with them won’t do anything beyond burning through your appeals. Amazon tasks their investigators with protecting the integrity of the marketplace in order to protect buyers. If they think you’re throwing those same buyers under the bus in your Plan of Action, they’ll toss it aside and move on to the next appeal. Many sellers who receive suspensions after too many “Not as advertised” warnings, different item condition warnings, inauthentic items, or “used sold as new” policy warnings go straight to pointing fingers. The usual reason of “the buyer made it up!” only goes so far or covers so many complaints. I recommend looking deeper into what caused some of these complaints. Start by assuming that there must be a legitimate reason behind the complaint and work your way backwards. regarding the strict review process or Amazon. I have seen sellers include screenshots of their great performance metrics when they got suspended for policy violations. I’ve seen sellers describe overdependence on their Amazon account for business survival, and even go into details of how many kids they have. If you are suspended by policy teams, not Seller Performance, then your performance metrics are a sidebar. Focus on specific information related to your big fixes. Use a systemic approach. In other words, demonstrate that you understand what went wrong. You don’t need to go ASIN by ASIN but include solutions that you’ve implemented to fix these problems on all inventory. Specify very clearly the “root causes” of the warnings and resulting suspension. Make sure these are easy to read and specific. Do remember to keep it short and sweet. Don’t fill your POA with long generic content that you could have found anywhere. Multiple page POAs are ignored, to make a long story short. Use a good solid first paragraph of a few sentences to set them up for what they’re about to read. Get into your Root Causes quickly, and show them that you’re already attacking each self-identified complaint. If they don’t find your analysis of the root causes compelling, they’ll never make it down to the POA you spent so much time agonizing over. Imagine having the POA ignored completely! Too horrible to think about it, I know. Stick to the facts, the specifics of your improvements, and you’ll maximize your chances of success. If not, then you can call for help. Thanks for guide because my application has been suspended several times and now i am looking for a how to guides, and suggestion guides. While finding informations related to that i got your guide and this one is very helpful for me. Thanks for sharing such useful information to the world. We found that your account is related to an account that may not be used to sell on our site. As a result, you may no longer sell on Amazon.in, and your listings have been removed from our site. Hi Anil. Any accounts that you shared inventory or sign ins or address and name overlaps with? Usually Amazon sees in their tools how you’re related to another account using data points. Important to know which one you appear related to before you appeal this. i am writing from Germany. My account got suspended because I sold Ikea products. I have stopped retail arbitrage and the ones left in my inventory are these Ikea products which were selling slowly and I wanted to clear the stocks. Since I bought those items via cash sales, I do not have any invoices but receipts only. Should I send those receipts and still admit that my products are inauthentic because I can’t provide them any invoices? You don’t have to say that they are inauthentic, but you do need to address the fact that you don’t have adequate proof of authenticity. Before you submit your POA, you should check out our Amazon Appeal online course. It takes you through Chris’s proven system to win your appeal and get your account back. Hi all , I have received a removal of my selling privileges from Amazon due to Inauthentic products 6 ASIN. As I was new in this listing I bought the goods from a wholesaler said to be 100% authentic but later I found out that not all of his products is authentic now the supplier can’t help with anything , what should I write my reasons in my appeal could you advice please should I mention that I was cheated and bought inauthentic product ? Any other assistance could help thanks . It really comes down to the difference between a root cause and an excuse. Absolutely admit fault (Amazon is already aware of this, which is why you received inauthentic notifications). However, saying “I was cheated” is not the root cause. What could you have done to have investigated your supplier? What will you do with your suppliers in the future to make sure this doesn’t happen again. That’s what Amazon wants to hear. After a review of your account by an account specialist, we have decided not to reinstate your selling privileges. We regret we are unable to provide further information on this situation. Further correspondence regarding the removal of your selling privileges may not be answered. I have gotten sellers reinstated that have received the “final word” notification. So, it is possible. However, without knowing the details of your suspension, I can’t give a definitive answer on your particular situation. It depends on the severity of the offenses and account history. Hi, I received a Notice Policy Warning and phone call from Amazon. While I am fixing the problem, my account selling privileges have been removed with the reason I keep doing against Amazon policy. But I did not do anything in that time. Now I have to write a POA. Do I need to explain that? You need to write a POA for the original policy warning. 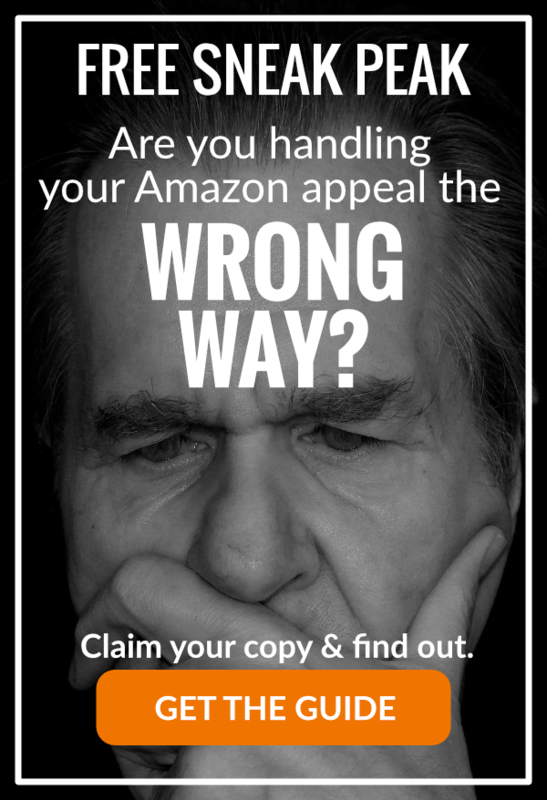 Amazon want to hear what you are implementing to ensure the policy violation does not happen again.